Wide Eye is an award-winning digital design agency that does cutting-edge work for progressive causes, political candidates, and world-changing organizations. We are seeking a Graphic Designer/Web Designer for a full-time position. The successful applicant will work directly with the Creative Director on branding, UX and web design projects. Applicants must have a solid portfolio, experience with the fundamentals of visual branding and web design, excellent communication skills, an eagerness to learn and a “can-do” work ethic. Support Creative Director and interactive design team in producing mockups, style treatments, inner page designs and supplementary components for client projects. Design and manage client brand assets (logos, style tiles, style guides, illustrations, email templates, social media graphics and online ads). Produce print and online client style guides to document brand standards (messaging, language, colors, fonts, illustration, iconography, etc). Assist in creating new company marketing materials, including case studies, social graphics, copy and proofreading for proposals. 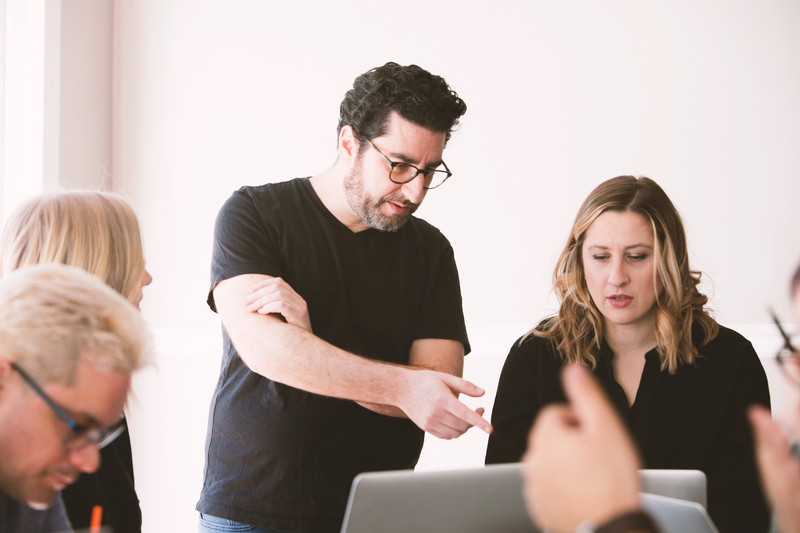 Collaborate with development team to help ensure our designs get brought to life through code and to support with quality assurance (QA) on projects. Coordinate some projects independently, working directly with clients where appropriate. Work on client discovery and branding research, and produce mood boards, style tiles, and presentation decks to sell clients on concepts and art direction. Guide clients on information architecture and layout, including content wireframing using Balsamiq, Omnigraffle, Illustrator or other software. Assist in managing and/or executing content production such as sourcing imagery and creating graphics. Maintain awareness of industry best practices and trends in content and marketing (social media, search engine optimization, and user experience in particular). Please include your resume, a link to your portfolio or recent work samples, a brief description of why you want to be a Graphic Designer at Wide Eye, and an example of what inspires you as a designer. Applications will be considered on a rolling basis. Wide Eye Creative is an Equal Opportunity Employer that values a diverse working environment. Applicants of diverse backgrounds are encouraged to apply.